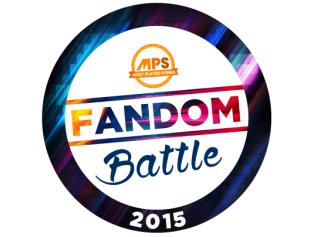 ​MPS Fandom Battle 2015 is the 2nd installment of MPS Fandom Battle. It became bigger as it featured more competing fandoms. A total of 50 OPM and International fandoms were included on this year's competition. We had a different process of determining this year's best fandom as compared to the previous. The battle began on August 10, 2015. One vote per IP address per 24 hours was implemented for the first 4 rounds. Unlimited Voting was used on the Final Round, as well as the Vote 'to win' and Vote 'to lose' powers. The awards night held on October 17, 2015 in celeberation of the 2nd anniversary of our Facebook page. e-Certificates and social media recognition were given away to the winners. votes per pair advanced to the next round. percentage of votes advanced to the next round. automatically qualified in the finals. top 2 fandom had the last 2 spots on the final round. From 50 fandoms on Versus, 25 advanced on Semis round, 10 advanced on the Face-off round and 5 were left advancing to the final round. 15 eliminated fandoms were given a second chance for Wildcard. The top 2 Wildcard fandom completed the Final 7 line-up for the Final round. Popsters, the official fandom of Sarah Geronimo emerged as this year's grand winner having the highest combined percentage of 'to win' and 'to lose' votes. The MPS Fandom Battle was discontinued on 2016. Instead, it was placed as a new category on the annual MPS Online Awards starting 2016 selecting the 5 strongest fandom to date.